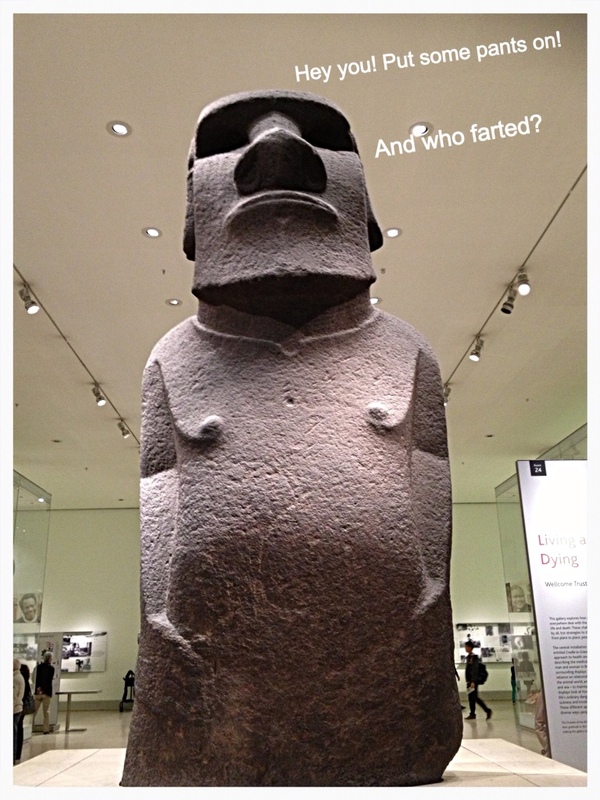 Pfft … top sights at the British Museum. Oliver really enjoyed the British Museum this morning although he was scandalised by all the naked statues. Here are his three favourites and what he imagines they might be doing and saying. Apologies for the 8 year old toilet humour! This entry was posted in In London, Out and about on June 17, 2013 by Amanda Barnier. Ba ha ha!!! Love it except should I point out there is nothing written on the first statue??? Enjoy your travels Ollie & Amanda. I am enjoying reading what you are up to! Thanks Jacqui! Yes, just Rapa Nua is talking and the lady popping off!